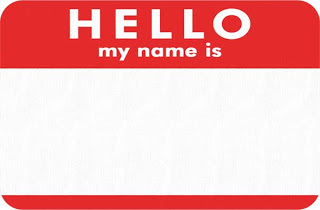 Back in July 2012 I wrote a post entitled What's in a Name? After much thinking and consideration I had decided to revert back to my original surname, before it was changed to be the same as my step-fathers. I never regretted the change and only wanted to change back because I was searching, I'm not sure what for, for me I think. I received various opinions on my decision to change, all unwanted to be honest as it was my decision, not anyone else's. While some supported me, others disagreed with my choice. I let them sit in their judgement then, I wouldn't today. Unless I am doing something illegal, I won't be judged by anyone. So much has happened in my life since I wrote that post. I feel like a completely different person. I am secure in myself, I know who and what I am. I'm confident. I'm not longer drifting. Someone asked me today if I I still wanted to change my name. I had changed it on the social networks and my email etc but so far had done nothing official as I was wanting for my student finance to be sorted out. My answer though was yes, I really wish I still had my old last name, but the reasons I had for changing, didn't seem so important anymore. I wanted to be my old last name again but in truth, back then I needed an anchor. Something to latch on to saying "This is who I am". I needed identity. Eight months later, a whole world of change in me and I realise, it isn't my name that matters. The identity inside is the one that matters. I am who I am, regardless of what my last name is. In my head, I will always be my father's daughter, I will always think of myself with his surname. Do I need a physical proof of that anymore? No, I don't think I do. The only change I will be keeping is my Twitter user name. In a weird way, joining Twitter was the catalyst for all the changes I have made since and I have never been more myself than when I am speaking on Twitter. So Vicky_Coop I shall remain.